Brazil is a vast country with a cornucopia of fabulous ingredients and a wealth of ethnic culinary influences; the result is one of the most exciting cuisines in the world. 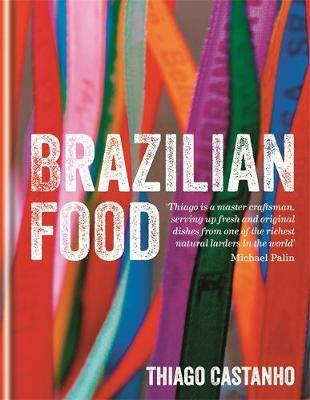 In this ground-breaking book, acclaimed young chef Thiago Castanho and internationally respected food writer Luciana Bianchi explore the best of Brazilian food and its traditions with more than 100 recipes that you'll want to try at home - wherever you live. The book includes recipes from a team of celebrated 'guest chefs' from all over Brazil, including Roberta Sudbrack, Rodrigo Oliveira and Felipe Rameh. Chapters celebrate the best food that Brazil's diverse cuisine has to offer including Small Bites, Street Food, Fish & Seafood and Meat & Poultry for Fire & Grill. Shot on location in Brazil by Rogerio Voltan, the book is a visual as well as culinary feast. As host nation for the World Cup in 2014 and the Olympics in 2016, Brazil will be the focus of international attention, so now is the perfect time to discover its vibrant food culture and cook some of its gutsy, flavourful dishes at home.